A new ownership arrangement for the Odyssey Channel will bring together two of America's best-known and respected entertainment companies (The Jim Henson Company and Hallmark Entertainment), with the existing shareholders, the channel's founding group (the National Interfaith Cable Coalition) and Liberty Media Corp., (the programming arm of Tele-Communications, Inc.). Representatives of the four groups announced today that they had signed a letter of intent for the new partnership in which Hallmark Entertainment and The Jim Henson Company will invest an aggregate of $100 million in cash and programming in Odyssey. 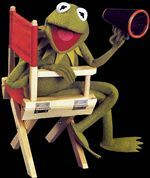 Following the investment and a related restructuring, NICC will retain 22.5%, Liberty will own 32.5% and Hallmark Entertainment and The Jim Henson Company will between them own 45% of the common equity of the channel (22.5% each). The Odyssey Channel is available to more than 30 million homes through 1,500 cable systems, the Primestar direct-to-home satellite service (Channel 84), and C-Band dish owners across the country. The Odyssey channel will be greatly enhanced when it is relaunched with programming from The Jim Henson Company and Hallmark Entertainment. Hallmark and Henson will make available cable exclusive airings of both original and existing programs that feature the unique combination of high entertainment values and meaningful content that have been the trademark of both companies for the past several decades. In addition to the Henson and Hallmark programming soon to be showcased on the channel, the NICC will continue to showcase the kind of quality entertainment and empowering faith and values programming that has been the established tradition of the Odyssey Channel.